Betfair launches First Exchange-Wagering Site in the USACaesars Bank Lenders To Pull Out of The Bankruptcy Deal? The Mississippi Gaming Commission has released the fiscal figures for the casinos in the state for the year of 2016. The number shown is the gross gaming revenue for the year minus totals from December 2016. According to the report, the industry has earned USD 1.95 billion in the year of 2016. Once the totals for December are added, it will easily surpass the USD 2 billion mark. Total revenue for the year 2015 was reported at almost USD 2.1 billion (USD 2,097,066,095.60). December totals for the year were recorded at USD 167 million. Assuming that the casinos performed similarly in December of last year, it would show around a 1.05 per cent year over year growth compared to the 12 months of 2015. The best month for the state was February 2016. The casinos collectively reported revenues of just over USD 190 million in the shortest month of the year. For administrative purposes the casinos in the state are categorized into three regions – Central, Coastal and Northern. The Mississippi Gaming Commission has reported that the Coastal casinos, as expected, have been the big earners yet again last year. The region houses 12 casinos that feature a total of 14,290 slot machines and 516 table games. Beau Rivage Casino is a waterfront casino resort in Biloxi. It is owned and operated by MGM Resorts International and is the tallest building in the state. At that time of its opening, it was the largest casino in the US outside of Nevada. The property features 1,810 slot machines and 96 table games, which includes 45 Blackjack tables, 16 Poker tables as well as several other games. Boomtown Casino Biloxi, which is located on Bayview Ave in Biloxi, Mississippi, claims to offer the friendliest gaming environment in the state. The casino, which is open around the clock, features 903 slot machines. It also offers 16 table games. This includes 8 Blackjack tables, Craps, Pai Gow, 3 Card Poker, MS Stud and Other table games. The Golden Nugget Biloxi is located on the Gulf Coast. The casino resort offers hotel amenities for their guests along with eateries, bars, a spa and pool area, as well as several retail outlets. Guests can enjoy a total of 1,192 slot machines that accept minimum bets of a penny up to maximum bets of USD 100 per spin. The casino features 58 table games. They have 32 Blackjack tables, Craps, Roulette, Mini Baccarat, Pai Gow, 3 Card Poker and MS Stud. Guests at the property who are also 24 Karat Players Club members can also enjoy a range of exciting offers and rewards. Hard Rock Casino Biloxi is another casino and resort located in Biloxi, Mississippi. The property suffered severe damage at the hands of Hurricane Katrina just two days before their scheduled opening day. It was rebuilt and opened to the public in the summer of 2007 instead. The casino features a 50,000 square foot gaming area with 1192 slot machines. The property also houses 52 table games, including 34 Blackjack tables. Harrah's Gulf Coast is also located in Biloxi, Mississippi. The property is owned and operated by Caesars Entertainment Corp. The casino was built to replace the former Grand Casino Biloxi, which was destroyed by Hurricane Katrina in 2005. The casino currently has a 35,000 square foot gaming floor with 772 slot machines. It also features 32 table games, including 16 Blackjack tables. Hollywood Casino Gulf Coast is a hotel casino complex located in Bay St. Louis Mississippi, which is owned by Gaming and Leisure Properties and operated by Penn National Gaming. The hotel at the property offers 291 guest rooms, while the 39,500 square foot casino features 1,096 slot machines and 23 table games. IP Casino Resort & Spa is also located on Bayview Avenue in Biloxi, Mississippi. The property opened its doors to the public in December 1997 and features 1,088 hotel rooms. It also features an 84,225 square foot gaming floor with 1,618 slot machines and 68 table games. The Island View Casino is located in Gulfport, Mississippi. It is the successor to the Copa Casino, which was first located on a docked cruise ship and then a barge- based building at the Mississippi State Docks. The property, which opened on the 18th of September 2006, features 970 hotel rooms and a casino that is 80,000 square feet in size. The property also houses 1,842 slot machines and 42 table games, including 28 Blackjack tables. Palace Casino Resort is the only smoke free casino on the Mississippi Gulf Coast. The venue offers non- stop gaming around the clock as well as other amenities such as hotel rooms and suites, restaurants, a spa and a golf course. The property features a total of 869 slot machines that accept a minimum of penny bets and a maximum of USD 10 bets. The gaming floor also houses 26 table games. Scarlet Pearl Casino Resort is located in D'Iberville, Mississippi. The casino which features 300 guest rooms and 68,000 square feet of gaming space was originally scheduled to open in February of 2010. However, due to financial complications from the Great Recession, the plan was revised and the property opened its doors to the public five years later in December 2015. The property now features 1,225 slot machines and 48 table games, including 20 Blackjack tables. Silver Slipper Casino is a beach- front casino property located in Hancock County in Mississippi. It is owned and operated by Full House Resorts. The property, which was opened a decade ago in November 2006, features 129 hotel rooms and 30,000 square feet of gaming space. They operate 957 slot machines and 29 table games. Treasure Bay Casino Resort in Biloxi offers hotel, dining, poolside and retail amenities. The property also has a RV park and a golf course. Treasure bay houses 814 slot machines that accept bets up to USD 100. They also feature 26 table games, including 10 Blackjack tables and 3 Roulette tables. The coastal casinos have brought in a collective total of almost USD 1.1 billion (USD 1,096,503,976.66) in 2016. It was the most profitable area for the state. The casinos saw a total of USD 105.5 million wagered by visitors over the months of 2016. Revenues for the properties in the area have continued to increase over the years. They broke the USD 1 billion mark in 2009 and saw a 6 per cent year over year profit between 2014 and 2015. The casinos reported revenues of USD 1.14 billion in 2015 and USD 1.08 billion in 2014. It seems 2016 will see the properties push past the USD 1.2 billion mark in casino revenues. While the competition in the area is high, casinos continue to upgrade their properties and offer promotions to keep gamblers interested and coming back for more. The Scarlet Pearl in the latest addition to the region. It was set to have entertainment amenities and a big investment of the property is the miniature golf course of world class scale. Other properties along the coast, including the IP Casino Resort & Spa as well as the Harrah’s Gulf Coast invested in renovation of their hotel rooms and suites before the start of the busy summer season last year. The latter has even introduced a new dining venue. The Mississippi Gaming Commission has reported that the Central casinos, being the smallest of the three regions, have generated the smallest revenue. The region houses a total of 7 casinos that feature 5,027 slot machines and 127 table games. Ameristar Casino Hotel Vicksburg is the largest dockside casino in central Mississippi. They house 149 newly renovated hotel rooms and offer dining and other amenities. The property features a total of 1,395 slot machines and 46 table games, including 22 Blackjack and 10 poker tables. Harlow's Casino Resort & Hotel is located in Refuge, Mississippi near Greenville. It is owned and operated by Churchill Downs Inc. The property, which features a 30’s art deco theme, offers a 33,000 square foot gaming floor, with 741 slot machines and 15 table games. The property also offers a 105 room hotel, an entertainment centre, restaurants and bars. The Lady Luck Casino Vicksburg opened to the public in 1994. The property, which is owned and operated by Isle of Capri Casinos, features an 89 room hotel in and a 25,000 square foot casino. The property houses 711 slot machines that accept minimum bets of a penny and maximum bets of USD 25. They also have 7 table games including 5 Blackjack tables. Magnolia Bluffs Casino is located in Natchez, Mississippi. The site was approved for a casino in 2008 but due to the global financial crisis, they finally managed to open to the public in December of 2012. The property features a 45,000 square foot gaming area with 476 slot machines and 20 table games. Riverwalk Casino & Hotel is another casino located in Vicksburg. The property offers casino, hotel, retail and other facilities for their guests. Riverwalk houses a total of 638 slot machines that accept maximum bets of USD 10. The casino also has 15 table games, including 8 Blackjack and 2 Craps tables. Trop Casino Greenville is a casino hotel in Greenville, Mississippi. The property is owned and operated by Tropicana Entertainment Inc. It features a gaming area with 613 slot machines and 12 table games. WaterView Casino and Hotel is another casino property in Vicksburg. The casino hotel also offers dining and entertainment. The property features 548 slot machines and 12 table games, including 8 Blackjack tables. The casinos brought in a total of more than USD 276 million (USD 276,173,486.56) in the eleven months of 2016; out of which February proved the most profitable, when revenues were recorded at USD 30.3 million. Finally, The Mississippi Gaming Commission has reported that the Northern casinos have generated a sizable sum in revenues. The region houses a total of 9 casinos that feature 27,934 slot machines and 928 table games. Bally's Tunica Casino is located in Tunica, Mississippi. The casino has been designed with a rustic barn theme. The property is managed by RIH Acquisitions MS II and is licensed by Caesars Entertainment Corp. The property, which first opened to the public more than 21 years ago, features a 40,000 square foot gaming floor. It houses 943 slot machines and 16 table games. The proper has a hotel, which is currently under renovation. Fitzgerald's Casino Tunica is a casino hotel in Robinsonville, Mississippi. The property features a gaming area with 973 slot machines, which accept a minimum bet of a penny and a maximum bet of USD 10. The property also has 20 table games, 13 of which are Blackjack tables. Gold Strike Casino Resort in Tunica Resorts, Mississippi is owned by MGM Resorts International Inc. The property that opened 22 years ago has had several rounds of renovations over the years. It features luxury amenities alongside 1,196 slot machines and 58 table games. Hollywood Casino Tunica is located in Casino Strip Resort Boulevard in Tunica, Mississippi. The property offers casino and hotel amenities. They feature 1,041 slot machines and 23 table games. Horseshoe Casino and Hotel Tunica is also located in Tunica Resorts, Mississippi. The property opened in 1995 as part of a development that saw the construction of three casinos side by side. The property is now operated by Caesars Entertainment Corp. and features a 500 room hotel. The riverboat casino has 1,102 slot machines that can accept maximum bets of USD 500. The casino floor also features 101 table games. Isle of Capri Casino Hotel Lula is located in Lula, Mississippi. The property offers hotel dining and other facilities. The casino floor features 907 slot machines and 21 table games. Resorts Casino Tunica is another casino property located in Tunica Resorts, Mississippi. The resort features a 201 room hotel and a 35,000 square foot gaming floor alongside their other amenities. It is privately owned and is one of three casinos located in the “Casino Strip” area. The property features 798 slot machines and 9 table games. Sam's Town Hotel and Gambling Hall Tunica is a casino property located in Robinsonville, Mississippi. The property offers hotel and dining amenities along with a golf course for their patrons. The casino features a total of 964 slot machines and 20 table games, including 9 Blackjack tables. The Tunica Roadhouse Casino & Hotel is a casino, hotel and spa. The property is themed to resemble a Roundhouse and is on the “Casino Centre” along with its sister properties. The casino features 693 slot machines and 17 table games. The Northern casinos collected a total of USD 578 million between January 2016 and November 2016. The month of March 2016 was the most profitable for the region, when they saw revenues of USD 57.4 million. The state of Mississippi has collected a total of USD 189.4 million (USD 189,434,683.92) in taxes so far in 2016. The tax money in the state is divided up amongst the General Fund, the Bond Sinking Fund and the local governments. The General Fun refers to gaming taxes that are dedicated towards construction and reconstruction of highways in accordance with a 1994 legislation. A total of USD 99.2 million was directed towards the General Fund so far in 2016. The Special Bond Sinking Fund consists of the Bond Sinking Fund, City of Gulfport Aquarium Construction Fund, Vicksburg Interpretive Centre, Catfish Row Museum Construction Fund and E. E. Bass Cultural Arts Centre Fund. USD 27 million has been paid to the Bond Sinking Fund in 2016. Finally, the remainder of USD 63.2 million of the tax money has been channelled in to the various local governments within the state of Mississippi. 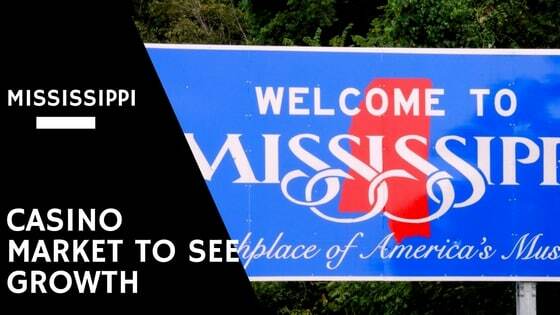 It is expected that the gaming scene in Mississippi will grow even more over the coming years. Earlier in 2016, the Mashantucket Pequot Tribe made an announcement that they will be working with the local property developers, Biloxi Boardwalk Ventures, to create a new casino resort in the area under their Foxwoods brand. As a result even more gaming options will prop up in the Coastal region of the state in the future. The year of 2016 proved profitable for the Mississippi casinos. With the construction of the new properties alongside many renovation efforts, only time will tell how the competition will shape the fiscal future of the casinos in the state in 2017.